The Oxford English Dictionary defines resilience as the capacity to recover quickly from difficulties; toughness. I don't think having cancer requires toughness, because when that breast cancer diagnosis hit me, I didn’t have a choice. I went into shock, put my feelings into cold storage, and got on with what needed to be done. Resilience makes a difference after treatment ends. That's when the physical challenge diminishes (though it's never over - ongoing medication and the aftermath of aggressive treatment continues) and the mental and emotional challenge begins. This is my story so far. Every morning I wake up to two thoughts: 1) my mother is dead and 2) I've had breast cancer. Some days they greet me in reverse order. I have not yet found a technique or tool to stop these thoughts appearing as I come round from another poor night's sleep, disturbed by hot flush tossing and turning, discomfort from scars and rib damage, and unpleasant anxious dreams. But I’ve learned to live with these thoughts, and I let a few tears fall in the shower most mornings, as I wash away the night’s terrors. Having cancer brought together every negative emotion I've ever experienced, and placed them in a tangled mess spread between my head and my heart. All my fears came together, all my sadness in one big whoosh, all my anger and grief leering at me, every loss I’ve ever experienced flooded in and stayed, beginning on the day I got my recall letter following a routine mammogram. It's probably nothing, the letter reassures, but we would like to see you in a week's time to run some more tests. I stood still with the letter in my hand, turned to stone, for who knows how long. It was November 5th 2014, bonfire night. That evening I cried as I told my husband. After that things moved very quickly, and that's when the numbness and disbelief set in. This was happening to someone else, not me. At first the cancer was just a tiny blip of nothing that could be removed by local anaesthetic; next came a biopsy which confirmed lobular breast cancer and then an MRI showed it was much larger than had been picked up on the mammogram. I was given a date for surgery, December 2nd, and my Wide Local Incision somehow became a Therapeutic Mammoplasty. The surgeon removed a quarter of my right breast. I felt violated, un-whole, let down by my body, and I was convinced that I was going to die. Telling my mum and dad was the worst. In fact I chickened out of doing it, I asked my sister to tell them and I visited the next day to reassure them that I'd be fine, they'd caught it early, there was nothing to worry about. I painted them a cheery picture I didn't see myself. I wanted to save them from whatever a parent feels when their child is diagnosed with cancer. My mum has always been my best friend and never more so than during my treatment. She was there the day after surgery, so that my husband and son could go to work. She accompanied me to check-ups and radiotherapy appointments, brought me tea and cake, took me out for lunch, and held me while I cried, like I was her little girl again. By the middle of March 2015 active treatment was complete and I was left with sore burnt skin, scars that seared with pain and tender to touch ribs. Also a ten year sentence of oestrogen inhibiting medication, meaning I'm suffering menopause symptoms over and over again, along with other side effects such as joint pain and weight gain. I went for a meal with my hubby and sons on the day I finished radiotherapy, to celebrate. I was supposed to be happy, but I was in shock and completely exhausted. I couldn't eat or engage in conversation. Every ounce of energy I had was spent, used up on the treatment I'd just endured, and I had nothing left. This, then, was the beginning of my new life, my cancer journey was over. Now I could get back to normal. Ha! How I wish someone had prepared me for the fallout that came post treatment, the total desolation of constantly being told how glad I should be that it was over, I'd survived. How lucky I was that it was caught early, how fortunate that I only had to have radiotherapy and not chemotherapy. I didn't feel grateful, I didn't feel full of the joys of spring, ready to jig through my bucket list and to live each moment like it was my last. And as I didn't feel as everyone was telling me I was supposed to feel, I thought that I was doing something wrong, that there was something wrong with how I was feeling. I worried constantly about the cancer returning, I bothered my GP and specialists about every little niggle, I slept in the afternoons and was generally lethargic and unenthusiastic. I had by now found an online support group, and by interacting with the wonderful ladies there I found out that how I was feeling was normal and ok, and that was the beginning of my recovery. I attended a HOPE course, I joined an exercise class, I was offered counselling and Reiki and when the freebies finished I sought out private treatments. I realised that I had to look forward, not back, and build a new life. I wasn't going to be able to return to the old one. I wasn't the same person, physically or mentally. I had already left my stressful job, so I didn't have that to go back to. I was doing a bit of training, meeting friends for lunch, spending a lot of time alone, reflecting, ruminating. Slowly I was emerging from my winter cocoon, but I was a long way from becoming a butterfly. Then two big things happened: my youngest son left to go travelling and the empty nest blues hit me, and then my mother was taken ill, and so my focus shifted away from my own troubles and I was looking after her. I think perhaps this saved me from spiralling into depression. 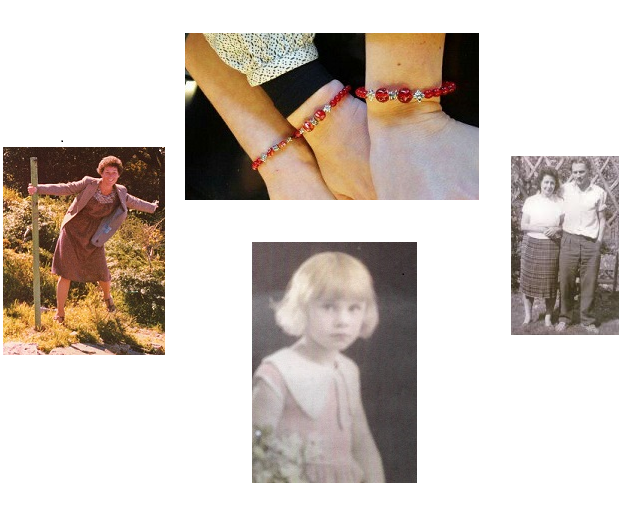 Mum died a few weeks later, suddenly and unexpectedly, and I was overwhelmed with grief. But I had a role to play, stuff to do, supporting dad, sorting out the funeral, looking after my sisters. Just as I had done when my cancer had been diagnosed, I got on with it, and cried a great deal when alone. Mostly in the shower. My mother's death helped me to deal with all the emotion that I'd held in during my cancer treatment. I'd had cancer, and my mother had died, and I was still alive. How amazing, how incredible, how was this possible? When I have bad days I sometimes wish that the cancer would return so that I can slip away from this world, because I don't ever want to lose anyone again. But a precious friend has gone to join mum, and I am, by some miracle, still here. My feelings have not overwhelmed me, they have not finished me off, I am still able to get out of my bed every morning and show up to wherever I need to be. Right now I am one year cancer free. There isn't much on my bucket list after all : I'm no sky diver or bungee jumper, my two beautiful boys are my greatest achievement and they are grown up now, I've had a rewarding career, and I'm a nervous traveller so I'm not too worried about seeing the world. But I do have a lot more books to read and I have a lot more love to give to the people in my life, and I hope I can hang around awhile to do that. Little did I know that the thought of writing about my fears and anxieties as they related to my breast cancer experience would make me apprehensive. After all, I was an academic specialising in the cognitive and neural underpinnings of emotional vulnerability. I had spent many years of my life studying the brain mechanisms of attention and cognitive flexibility in anxiety and depression, and had become interested in how we could target and influence those mechanisms to reduce the impact of anxiety and depression and boost resilience towards psychological well-being. As the idea elaborated, my fears exaggerated and the whirlpool of mixed emotions was what I experienced – they in fact felt very alive. ‘It will be liberating’ one of my friends said, and while I cherished the idea of that thought, the anxiety about how I would do justice to the description of the many roller coasters I experienced, their effects on my young daughter, on my work and to the person that I am now, concerned me. I broke the ice by putting pen to paper and relished the thoughts that raced through my head, the sensations that rushed through my body, and the tears that found their ways to the surface. Three years ago, at the time of my breast cancer diagnosis on the 2nd of January 2013, I would have never been able to see this day, me: alive, at work, vigilant, and eager to tell the story. And yes, in a strange way, it felt rather liberating. Resilience has been defined as the process of adapting well in the face of adversity, trauma, tragedy, and injury. Resilient people are flexible and able to regulate their emotions as necessary. They are able to embrace their feelings and thoughts and not fight them. Emotions signal to us what is important, and as such should not be ignored. They are what makes us human, dynamic and insightful. Resilience is also dynamic and fluid and a much desirable thing to have when confronted with a breast cancer diagnosis. It is estimated that every 10 minutes a woman is diagnosed with breast cancer in the UK (Cancer Research UK, 2014). With medical advancements, a large proportion of sufferers live years beyond their diagnoses. However, the negative psychological impact of diagnosis and treatment on cognitive health, predicts the development of anxiety and depression in a significant proportion of women. Diagnosis at a younger age is a risk factor for vulnerability, cognitive impairments and their consequent impact on career and responsibilities of a young family. Survivors face fear of recurrence, loss of fertility and early menopause due to medication, altered physical image due to major surgery, changes in sexuality and fear of mortality. Psychological interventions are sparse and the effectiveness of the existing treatments highly limited. Many women continue to doubt their abilities in the jobs they once used to hold and suffer enormous insecurities in the work place. Every year 2.6 million women with a breast cancer diagnosis are told that they should be grateful for a second chance to survive. The experience of fear and hope are very much mixed for a patient diagnosed with breast cancer. She is fearful of the consequences of cancer diagnosis and treatment, but also hopeful that with appropriate treatment she can get better. ‘I have a treatment plan’, I thought. I was confident that I could cope well. Multiple major surgeries, extensive chemotherapy for four and a half months, and a long course of radiotherapy took just over a year to complete. The depression, the exhaustion, and the side effects of treatment were overwhelming. Chemotherapy had left me suppressed emotionally, physically in agonising pain, brain dead, fatigued and dissociated from the self I knew. 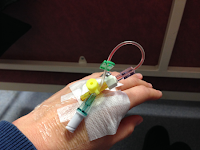 I was hospitalised with Sepsis three times with heavy antibiotics and blood transfusion. If chemotherapy was killing the cancer cells, it was killing billions of good cells to achieve that aim. Ella, my daughter, who was only 3 at the time was my inspiration to fight, but what if I could not make it? what if I could not be there for her? How will she cope? I am everything to my daughter and she is everything to me. How do you explain the implications of breast cancer to a child who is 3 years of age? ‘Mummy you will get better’ she kept telling me with fear in her eyes. ‘Mummy, I had breast cancer too, but now I am better and my hair has grown back and my breast is not sore anymore’. As treatment continued I was hopeful that I would regain my life and my confidence. I will be able to think clearly, to get rid of the chemo brain and mental fog, the fatigue that crawled on every inch of my body, the emotional roller coasters. Little did I know that my journey would start only after my treatment had ended. ‘You are looking so amazing, Naz’, ‘you can now put that chapter of your life behind you and move forward’. ‘Move forward’ was all I heard from everyone. You have fought so well Naz, even managed to write articles during chemotherapy. You are a role model for everyone.’ Yet I felt at rock bottom with a mixture of fears, compassion for others, smiles and confidence. Alone in an ocean trying to find my way to the shore. The waves were high, they were scary, and kept pushing me back to the deep end, no matter how hard I fought. Perhaps I need to fight harder, I thought. Why am I depressed when I should be happy and grateful for a new life? Someone like me should know better. Who am I? Am I the same person, or a different one, a stronger person or a weaker one? Expectations for regaining what was lost were overwhelming. I wanted to scream as I wanted to many times during chemotherapy but couldn’t find my voice due to emotional numbness. I was looking at myself through a glass that could not be broken, I could not touch me, I did not know me, I did not know how to reach me. Everyone knew me as a positive and optimistic person, always smiling and strong, full of opinions and vocal. But in a paradoxical way, the fear, the agony and the pain felt somehow to my strength, I could identify with them. They seemed to lessen when I listened to them and accepted them. They are part of me, but they are surely not me. I am a changing person. What does it mean to survive? We live with the assumption of being immortal even when we know we will one day die. Yet the fear of our own mortality in a paradoxical way makes the battle for survivorship harder. Fear has the power to numb our feelings when we fight it, and it has the power to make us stronger when we embrace it. It can guide us when helpless. It signals what is important to us, and as such should not be ignored. How can we foster resilience in the shadow of cancer? To keep going amid the fears fuelling every breath, for our loved ones, despite knowing we will have to let go of what is no longer ours. As time passed by, Ella began to understand more about breast cancer and she now writes stories about it, she is five years of age and a rising star. She has told us that she wants to be a teacher, so that she can teach doctors about cancer. I cherish my moments with her with great intensity, the emotions are overwhelming and exciting when I am with her, because I am aware that I am not guaranteed tomorrow. I somehow have to believe that she will be OK. As time passed by, I became determined to translate the neurocognitive interventions I was developing in anxiety and depression research to targeting emotional vulnerability and promoting resilience in breast cancer. Through our efforts we were successful in obtaining some funding to pursue research into building resilience in survivors of breast cancer. Jess Swainston, my PhD student, is pursuing this work under my supervision. The research prospects are exciting yet scary. I recall my oncologist saying: ‘Is it too close to home Naz?’ But that made me more determined. After long deliberations I decided to set up the Centre for Building Resilience in Breast Cancer where I founded the private and closed support group: Building Resilience in Breast Cancer. We grew from two members to over 290 members in just three months. Along the way, I met the two sisters I never had: Tamsin and Vicky, who run this educational support group with me. In addition to psychological support that our members provide for each other we engage in research led debates on advances in the psychological aspects of breast cancer research. I have spent a life-time in education but for me the wonderful ladies I have met through my breast cancer journey, as well as my the many thousands of students that I have taught and the numerous that I’ve supervised, have taught me far more than I have ever learned as a teacher, a student, and child. There is a silver lining in everything we experience. I have high hopes for our centre to expand, flourish, and reach out to the thousands of ladies affected by this deceptive silent disease. And I am somehow confident that we will achieve this aim.